Communities of synanthropie flies (Diptera) in the region of Warsaw and Kalisz. Field experiments on the filling of space with the community of Araneus diadematus (Clerck) (Aranei) in a pine stand. 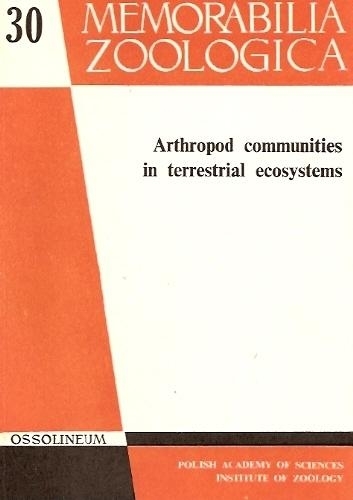 Communities of aphidophagous syrphids (Diptera, Syrphidae) in the Lublin region. Beetle succesion in feeding sites of the pine shoot beetle (Tomicus piniperda L., Coleoptera, Scolytidae) in one-species and mixed pine stands. The effect of shrub layer on the occurence of the Ichneumonidae (Hymenoptera) in pine stands on different sites. Changes in the structure of mosquito (Diptera, Culicidae) communities in the Kampinos Forest for 40 years.